who ever said you had to wait for a wedding/reception to make some centerpieces? and boooy did they make me a happy one. ...i'm so blessed by an amazing husband. & then make some mason jar arrangements out of them. but of course i would never admit to that......... haaa! i haven't arranged flowers since my wedding planning (where we actually used fake flowers for the centerpieces). but that 0.2% of me that misses the wedding planning gets those moments of satisfaction in things like these. i made a centerpiece for my home! ...took the bouquet of flowers, a few mason jars - and voila! like many others, i'm no professional flower arranger. 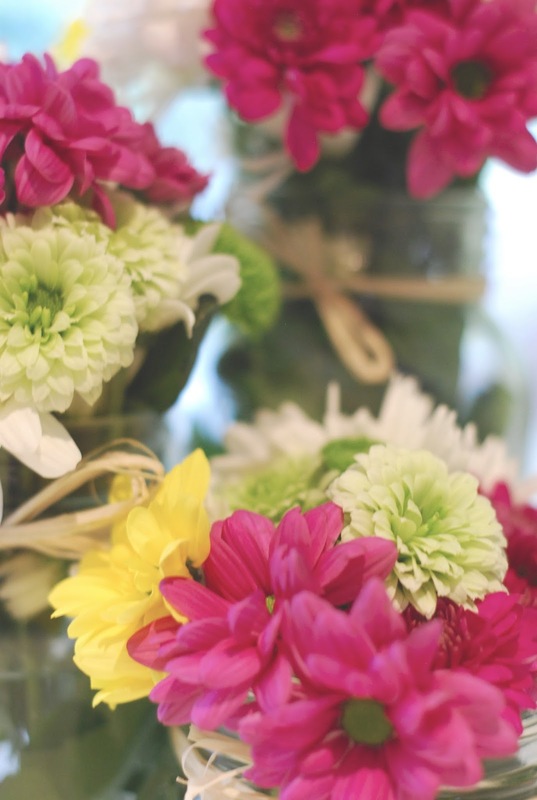 but it's pretty darn easy to cut up flowers and place them in a jar.